If you are searching for an informative, entertaining, humourous and musical motivational speaker......SEARCH NO MORE. Mike Moore: "Have Mouth, Will Travel"
How to Stop Worrying and Start Living Joyfully "
"Life is a mystery to be lived and enjoyed not a problem to be solved or endured ." Cartoons, articles, verse, short humour, funny one-liners, poetry all designed to give your life a HUGE BOOST when you need it most. Both my daughter and I have finished reading your book, Embracing the Mystery. What a great read! Thank you for writing it...Very Uplifting. We so enjoy your philosophy, your positive attitude and your sense of humour. After extensive cancer surgery and John being diagnosed with Parkinson's life has been, and still is, at times, a bumpy road. But each day is a gift and with so much of your positive input we keep going. We hope to have the pleasure of meeting you personally. This is a little jewel of a book, which contains a wealth of inspiration for living a happier, healthier, more fulfilling life. Moore provides tips for reducing stress, improving self-esteem, banishing fear, nurturing patience, and more. But more than that, he helps us get back in touch with the sense of joy and wonder that so often gets buried under the busyness of daily life. 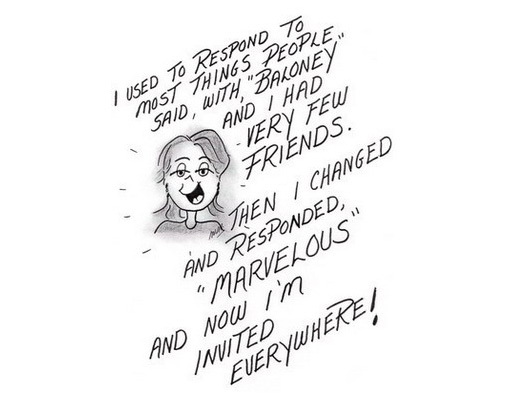 The author is also a cartoonist and his casual writing style is enhanced by a generous dose of appropriate cartoons, which never fail to bring a smile to my lips, no matter how glum I'm feeling. This is one of those books to which I return whenever I feel like I need help becoming a better person. 80% of us have low self esteem and 20% need a boost. A sense of humor can be developed and negative attitudes transformed to positive in as little as 21 days. The World Health Organization says that by the year 2020 depression will be the leading cause of disability throughout the developed world. We live in an age of rage: road rage, air rage and now work rage. We only achieve between 2 and 5 percent of our potential. Joy has vanished from our lives. Uncontrolled stress is killing us. While children laugh over 400 time a day, adults can manage only 15. Fear rules our lives: fear of getting old, fear of failure, rejection, death, etc. If any of these apply to you ( And I know they do), then it's time to take action NOW to RETURN TO JOYFUL AND PRODUCTIVE LIVING. Remember that joy and happiness are our birthrights, so fight for them. Life is too wonderful not to be enjoyed. Hey,,, we aren't here for a long time so let's make it a good time!! 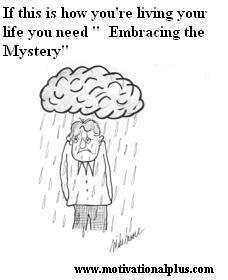 That's why I wrote " Embracing the Mystery" so we can all enjoy to the MAX the only life we have. Your personal autographed copy of Embracing the Mystery will be on its way to you within 24 hours of receiving payment notification from Paypal. 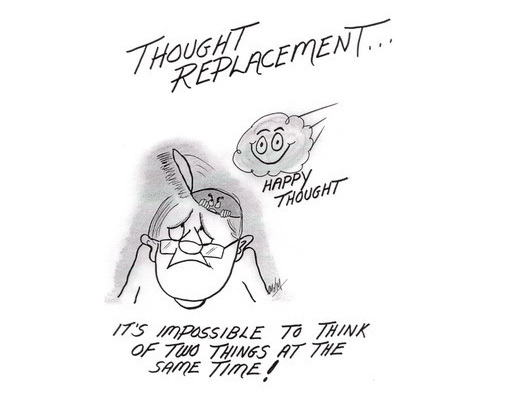 * We create our world with the thoughts we choose to think. Change your thoughts and change your life. 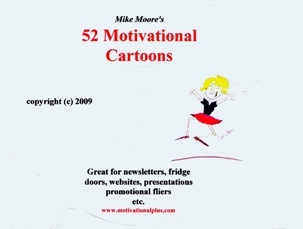 Mike's books, like his presentations, are designed to inform, entertain affirm and inspire the reader with a blend of relevant content, stories, cartoons and humor. I loved your book. So many inspirational messages. 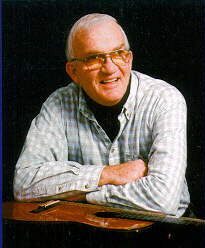 Thank you again for sharing your wit and wisdom. We are all, indeed, on the road to fulfillment. Everyone dies, so few really live. "One of the best bedside books anywhere." 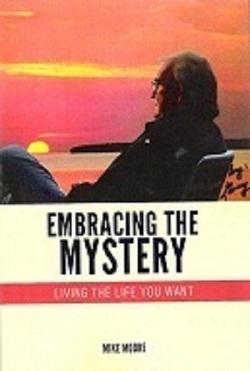 Margaret called me, long distance, to tell me that she had recently attended one of my talks and purchased my book Embracing the Mystery. She wanted me to know how helpful it was to her. She went on to explain the difficult situation she was living in. Ever since her husband had been diagnosed with terminal cancer he had become verbally abusive to her. It was putting a serious strain on the marriage and she wanted help coping with her toxic situation. After she had listened to my presentation, purchased my book and applied what she learned she found her relationship with her husband improving. Even though her situation hadn't changed, her ability to cope had. I love to hear this kind of story. One of the greatest tragedies is... coming to the end of our life and realizing that we never really lived. and realizing that we never really lived. *We all die.... but very few of us really live. Live the only life you have to the max!! Life is a mystery to be lived and enjoyed not a problem to be solved and endured. Mike Moore Check me out. As the brown earth her hidden treasure yield. Or moss and primrose beneath the tree. Knowing God I fear not death. 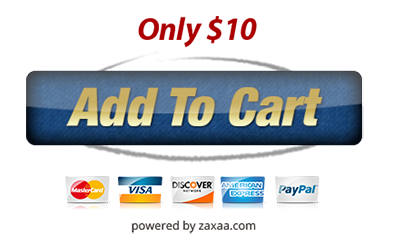 Order now and be reading in minutes! "A little book with a BIG Message." If, after purchasing and reading my book you haven't enjoyed and benefited from its content just ask for your money back. I won't be upset. That's what a guarantee is for. If you're not happy I don't want you to have it. Just send it back and get you money.